Maybe you have been at this place before…several times. You heard God’s call to bear something in your life. 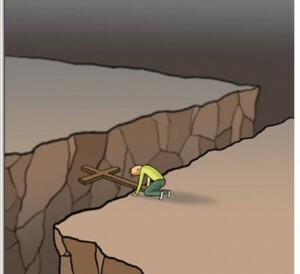 The first few times you picked up the burden only to lay it back down. In your heart you knew your obedience…bear it! 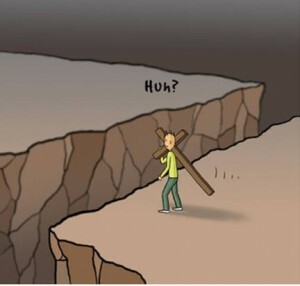 Every believer’s walk is different. 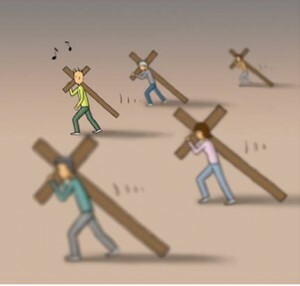 But many look around to spy what other believers are bearing or not bearing. 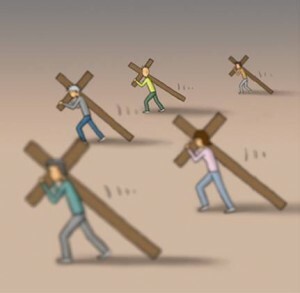 God doesn’t allow “cross-disobedience” or cross comparisons with fellow travelers. 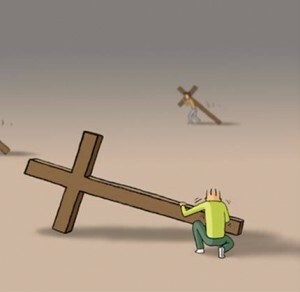 (see John 21:18-23) When Peter inquired about the burdens John had to bear, Jesus replied, “What is it to you? You follow Me.” Ouch! All God’s children are unique and special. Your obedience is not my obedience and my obedience is not your obedience. We both may know what “bearing” feels like, but it will not be the same thing. I remember a line in the movie The Lord of the Rings – The Return of the King that illustrates this very issue. Sam says to Frodo as they struggle to the end of their journey, “I can’t carry it for you (the ring), but I can carry you.” Sam grabs Frodo like a sack of potatoes and proceeds up to Mount Doom. It is an exciting scene. Why couldn’t Sam just grab the ring and take off himself? 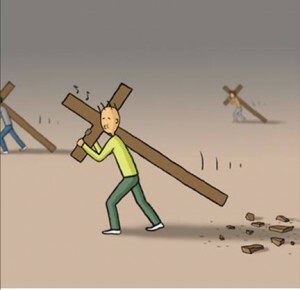 It was not his burden to bear. His burden was helping Frodo. Each of us is given something to bear in this life. We are kindred spirits with slightly different journeys. Here are some helpful hints. 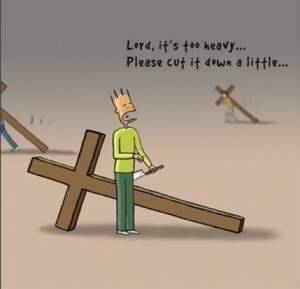 Don’t constantly be asking for the Lord to remove your burden. 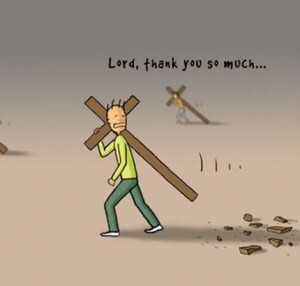 Yes, you may arrive at the point when your burden can be released. Until that time your calling is to bear. 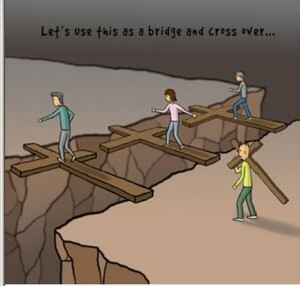 In fact as the cartoon suggest, your burden may be your bridge of deliverance. Always be discerning about your burdens. 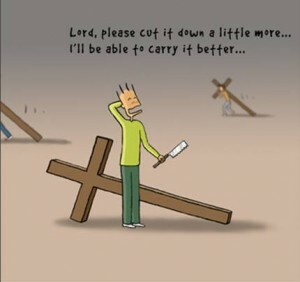 As a pastor I have had to learn the hard way there were certain burdens God never intended for me to carry. 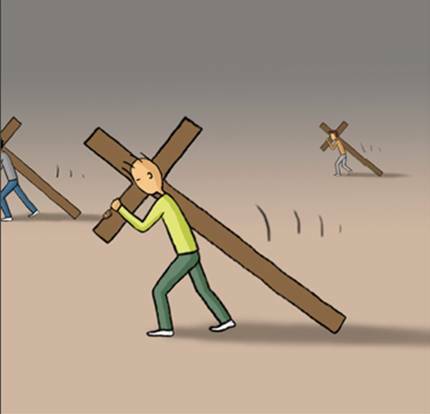 Now other people intended for me to carry certain burdens, but God didn’t call me. Beware! Others will not be happy over your decision…but God will. Beware of false guilt! This is kin to my previous point. God doesn’t lead us in this fashion. God simply speaks and convicts. Guilt is a human emotion and a terrible leader. Don’t be motivated by guilt. Process your guilt and get back on your word! Expect the devil to attack. The enemy always attacks when we are most vulnerable. It is unfair, I know. This is simply the ways he operates. But if you stay in your process, you will grow stronger and he will be defeated! 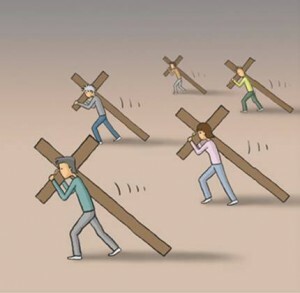 Expect the Lord to glorify Himself through your process of burden bearing. Think about the stories that impacted your life the most and glorified the Lord. Most assuredly, they were stories of people bearing enormous burdens. They were not broken by their experience, but grew stronger through it. 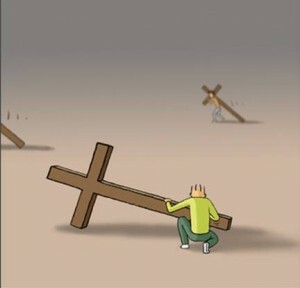 There is a cross in your future. If you have been neglecting to carry the burdens the Lord has laid before you, then simply confess it, repent, and get back to your process. Life is not about your destination. Life is about the journey. 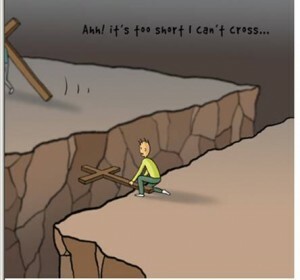 Choose to glorify the Lord today by taking up your cross, bearing it, and following Him.